Don't you love old postcards? I do! A neighbour showed me his fascinating collection of 300 old postcards dating back to the early 1900s of Istrian towns and villages printed by an Italian publisher. I scanned the ones I found the most interesting and will be sharing some here. I had already shared a post on old postcards of Gračišće, the village I live in. This photo was taken almost exactly 100 years ago. It looks like the tiny island of St Catherine was always a popular beach destination. Today it's also the site of a large hotel, Island Hotel Katarina. I imagine their rooms must have stunning views across the water of Rovinj's old town. 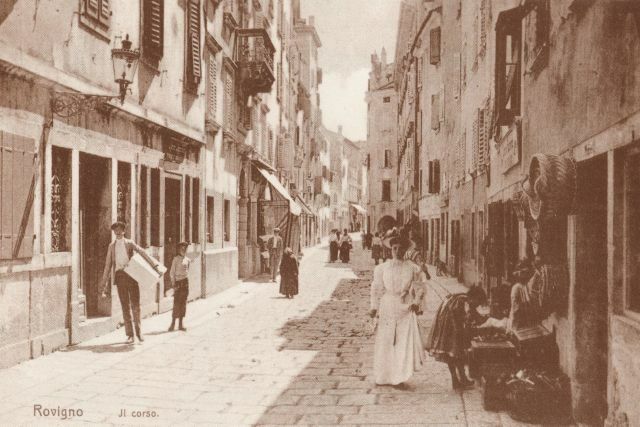 This shot of one of Rovinj's commercial streets in the old town was taken in 1902. The streets of the old town still look very similar today. 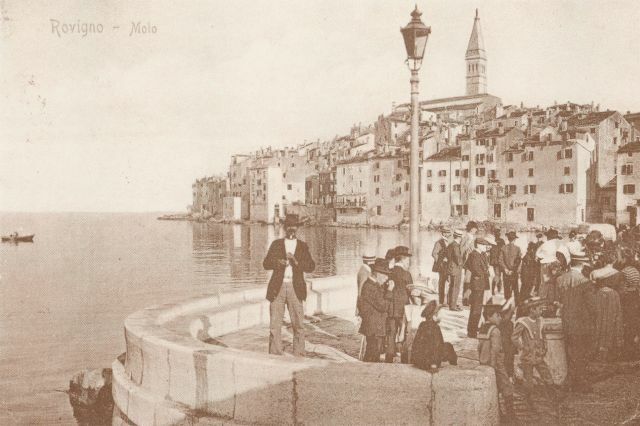 Taken in 1906, this is Rovinj's pier. 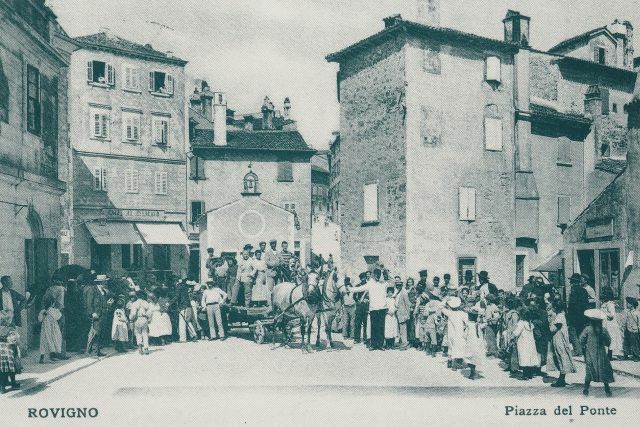 And last we have Rovinj's Piazza del Ponte (Trg na Mostu), captured in 1905. 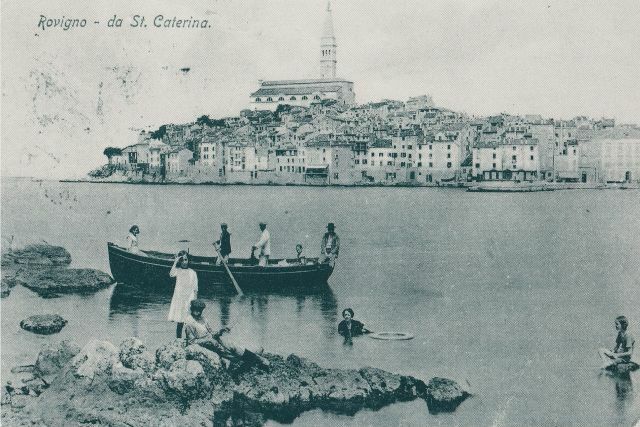 We have a collection of old postcards from Vrsar. I collected them on the site Delcampe.com. Thanks Rit! I'll have a look! Your village seems to have been pickled in a jar,or seems to be aging in a wine cellar for eternity! with each passing year your place seems beautiful, old pictures are nostalgic , while the new ones are to be embraced with fondness. I shall make a conscientious effort to visit your place some day from Mumbai! Yes time has really come to a standstill in some places in Istria! Does anyone have any old post cards of Vozilići? I'd be very interested to see them. I love the old postcards!